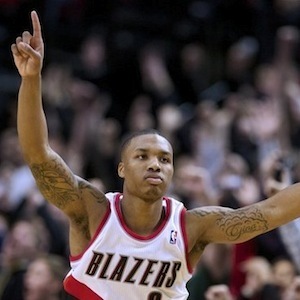 Niether Damian Lillard nor Jeremy Lin will finish the regular season as the top point guard in the NBA. That spot is reserved for the likes of Rajon Rondo, Chris Paul, Russell Westbrook, and Tony Parker, but a few years down the line, either or both Lillard and Lin should become part of that group. Both guys, having a combined age of 46 years (just 6 years more than the current oldest active player – New York’s Kurt Thomas), have about a handful more seasons before they hit their physical prime, and that is an exciting proposition for Portland and Houston fans. Lillard was picked #6 overall this year. Coming out of Weber State, which isn’t exactly the most renowned US NCAA basketball program around, Lillard surprised many by being tagged so high in the lottery, but he’s making the Portland front office look like geniuses with his consistently strong play. The former Wildcat is norming nearly 19 points, over 6 assists, and more than 1 steal per game. He’s in the running for Rookie of the Year honors, if not leading the race entirely. The 22-year old is currently 9th overall in three-pointers made (including a nice dagger three that beat the Hornets a few nights ago), 16th overall in total points scored, and 10th among point guards in terms of efficiency rating. Together with LaMarcus Aldridge and Nicolas Batum, Lillard should make the Blazers really dangerous for years to come. provides a glimpse into his bright future. A team that’s already quite dangerous is the Houston Rockets. Just ask their latest victims – the Philadelphia 76ers and the East-leading New York Knicks. At the forefront of Houston’s seeming renaissance, of course, is former OKC Thunder James Harden, but one guy who has been a major contributor is Harden’s backcourt mate, himself a former Knick, Jeremy Lin. We can still recall how Lin burst into the scene as a patchwork player for the Knicks earlier in 2012. He almost single-handedly turned the ship around for NYK and created what would forever be remembered as “Linsanity.” We can also recall how, despite his contributions, New York let him go in a surprisingly nonchalant manner before the 2012-2013 campaign. A couple of nights ago, the Harvard grad returned to the Garden with aplomb, scoring 22 points and dishing out 8 assists as the Rockets handed the Knicks their first home loss of the season. Lin has actually been criticized for his inconsistent play, but his flashes of brilliance are undeniably appealing. 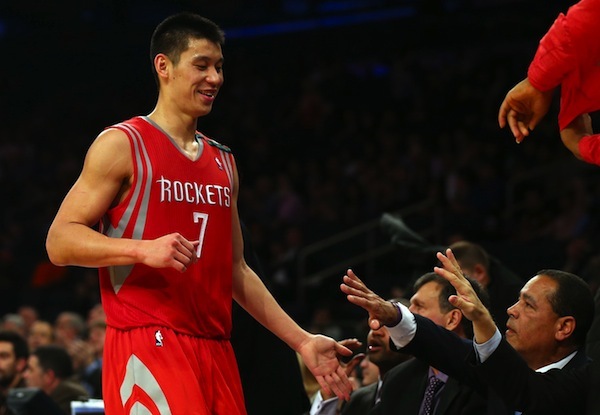 Two nights after the NY win, Lin dropped 18 and 6 on the Suns as Houston got its fourth win in the last five contests. In his last two games, Line shot better than 62% from the floor. This was the guy who, just a week ago, also dropped 38 on Tony Parker and the Spurs (Houston lost by 8, though). He might not yet get the nod for an All-Star slot out of merit (maybe out of the sheer number of potential votes from both China and Taiwan? ), but just a little more maturity is needed before Lin can become a top-flight PG. Another thing contributing to the impending rise of Lillard and Lin is the fact that many of the West’s great playmakers are getting older. Steve Nash is closing in on 40, Tony Parker will turn 31 next May, and Chris Paul will hit his early 30s by the time both Lillard and Lin hit their peaks. Damian Lillard and Jeremy Lin – folks, these are the guards of the future. Gerald Green totaled 21 points, while Paul George and George Hill each added 20 as the Indiana Pacers dominated the Utah Jazz, 104-84, at Bankers Life Fieldhouse. George also had 11 rebounds and four blocks, as the Pacers won for the fourth time in five games. Indiana outscored the Jazz, 22-8, in the second quarter to expand their lead to 53-31 at the break. The Pacers led by as many as 32 in the third quarter. Derrick Favors had 16 points and nine rebounds for Utah, which lost for the third time in four contests. The Jazz shot a paltry 37.2 percent, including a dismal 3-of-20 in the second quarter. Carmelo Anthony returned to the lineup just in time to light up the Brooklyn Nets for 31 points and help the New York Knicks cruise to a 100-86 victory at Madison Square Garden. After splitting a pair of Battle of the Boroughs meetings at the Barclays Center, the Knicks showed why they are currently the toast of the Big Apple. J.R. Smith added 19 points and Tyson Chandler posted 16 points and 12 rebounds for the Knicks, who committed just eight turnovers to Brooklyn's 14 and allowed a mere 38 points in the second half to bounce back from their first home loss of the season. Joe Johnson paced the Nets with 17 points, while Brook Lopez and Deron Williams each posted double-doubles. Lopez finished with 16 points and 10 boards and Williams chipped in 16 points and 10 assists. J.J. Redick knocked down four 3-pointers en route to a team-high 17 points on Wednesday, as the Orlando Magic held off the Washington Wizards, 90-83, at Amway Center. Arron Afflalo and E'Twaun Moore donated 15 points apiece for the Magic, who have won four straight games and five of their last six. Glen Davis contributed 12 points and nine rebounds in the victory, but left the game late in the fourth quarter after taking a hard hit to his shoulder from Washington center Emeka Okafor. Nene led the Wizards with a game-high 20 points off the bench, while Jordan Crawford added 19 points and six assists in the setback, Washington's fifth in a row. DeMar DeRozan scored 23 points and the Toronto Raptors held off the Detroit Pistons, 97-91, on Wednesday. Alan Anderson added 16 points for the Raptors, who have won four in a row. Jonas Valanciunas and Ed Davis tallied 12 and 11 points, respectively. Greg Monroe had a career-high 35 points and 10 rebounds for the Pistons, who fell to 2-13 on the road this season. Rodney Stuckey donated 13 points. Kevin Durant poured in 41 points and grabbed 13 rebounds, as the streaking Oklahoma City Thunder downed Atlanta, 100-92. Russell Westbrook added 27 points with 11 assists, as the two-man show combined for 68 points, 16 rebounds and 14 assists. The Thunder have now won 12 in a row and haven't lost in nearly a month. Their last loss came at Boston, 108-100, on November 23. Jeff Teague led Atlanta with 19 points and nine assists, while Josh Smith posted a double-double of 17 points and 12 rebounds. Lou Williams and Al Horford each scored 13 in the setback, Atlanta's second in three games. Paul Pierce scored a season-high 40 points on 13-of-16 shooting and pulled down eight rebounds as the Boston Celtics knocked off the Cleveland Cavaliers, 103-91, on Wednesday at TD Garden. Pierce also added five assists and three steals. Rajon Rondo finished with 20 points and eight assists, while Jason Terry contributed 15 points on 6-of-9 from the floor for the Celtics, who have won five straight at home. Kevin Garnett donated 12 points and six boards in the victory. Kyrie Irving scored a team- high 22 points, while Tyler Zeller added 20 points for the Cavs, who played without Anderson Varejao and Daniel Gibson. Both players suffered injuries in Tuesday's game against Toronto. Dion Waiters netted 13 points, while Tristan Thompson and Alonzo Gee netted 11 points apiece in Cavs' fifth straight loss. James Harden posted a game-high 33 points along with seven assists as Houston thumped Philadelphia, 125-103, on Wednesday. Jeremy Lin gave 18 points and six assists while Omer Asik added 17 points and 15 rebounds for the Rockets, who have been the victor in four of their past five. Nick Young scored 21 points while Dorell Wright added 20 points, six rebounds and six assists for the Sixers, who are on a season-high five-game losing streak. Shannon Brown connected on five 3-pointers en route to a team-high 26 points as the Phoenix Suns rolled over the floundering Charlotte Bobcats, 121-104, at US Airways Center. Goran Dragic and Jared Dudley each added four shots from beyond the arc as Phoenix shot 17-for-28 from three-point range in the contest. Dragic finished with 21 points and 11 assists, while Dudley had 20 points for the Suns, who stretched their season- high win streak to four games. Kemba Walker paced the Bobcats with a game-high 27 points and Michael Kidd-Gilchrist followed with 25 to go along with 12 rebounds for Charlotte, which lost its 13th straight game. Zach Randolph had 15 points and 17 rebounds as the Memphis Grizzlies took a 90-80 win over the Milwaukee Bucks on Wednesday. Rudy Gay scored 13 points to go with eight rebounds and five assists, while Marc Gasol added 12 points and 12 boards for the Grizzlies, who have won three straight. Brandon Jennings scored 26 points to go with seven rebounds for the Bucks, who had won five of six coming into the game. Marquis Daniels gave 12 points and six boards in the loss. Aaron Brooks, one of seven Kings scoring in double figures, hit a critical 3-pointer in crunch time to help Sacramento beat the Golden State Warriors for the second time this season in a 131-127 offensive showcase between Pacific Division foes. The crowd at Sleep Train Arena, which housed a large contingent of Warriors fans, saw both teams shoot 50 percent from the field and 24-of-45 (53 percent) from 3-point range. Brooks finished with 23 points, DeMarcus Cousins added 24 -- 14 from the foul line -- and Marcus Thornton netted 19 in his return from a four-game absence for the Kings, who snapped a five-game losing streak. Stephen Curry led Golden State with 32 points before fouling out with 2:13 remaining. David Lee and Jarrett Jack chipped in 29 and 28 points, respectively, in the setback. Blake Griffin paced the Clippers with 18 points as Los Angeles tied a franchise record with a 93-77 victory over the New Orleans Hornets at the Staples Center. It was the Clippers' 11th straight win, tying the Buffalo Braves' franchise mark set during the 1974-75 season. Also on Wednesday, Chris Paul finished with 10 points and 12 assists to give him 5,003 career assists. Jamal Crawford added 17 points, DeAndre Jordan poured in 12 and Matt Barnes contributed 11 in the victory. Robin Lopez dropped in a game-high 22 points to go along with nine rebounds and Anthony Davis scored 16 points for the Hornets, who have dropped nine straight. Six Raptors finished in double figures and Toronto won its third consecutive contest with a 113-99 triumph over the Cleveland Cavaliers. Jose Calderon netted 23 points with six assists and five rebounds, Alan Anderson added 18 points, Amir Johnson had 17 and DeMar DeRozan chipped in 16 for Toronto, which last won three in a row from Apr. 1-4 of last season. Kyrie Irving registered 23 points and seven assists for the Cavs, who have dropped four straight and nine of their last 10. DeShawn Stevenson hit a go-ahead 3-pointer late in overtime and the Atlanta Hawks held on to beat the Washington Wizards, 100-95, at Verizon Center. Atlanta, coming off a 22-point home loss to Golden State, was paced by Lou Williams' 24 points, while Josh Smith netted 17 to go with 13 rebounds. The Hawks have topped their Southeast Division rivals 18 times in the past 19 meetings, but were pushed to overtime Tuesday for the second time this season. They overcame the second triple-double of Jordan Crawford's career. The third-year guard totaled 27 points, 11 rebounds and 11 assists for Washington, which has dropped four straight overall. Mo Williams totaled 19 points and six assists as Utah escaped with a 92-90 victory over Brooklyn at Barclays Center. Al Jefferson contributed 16 points and 10 rebounds, while Derrick Favors picked up 13 points for the Jazz, who began a four-game road trip by snapping a two-game slide. Joe Johnson recorded 19 points and Brook Lopez had 16 for the Nets, who have lost two in a row and seven of their last nine. Deron Williams totaled 14 points and five assists in defeat. Dwyane Wade scored 24 points and the Miami Heat pulled away in the second half to record a 103-92 victory over the Minnesota Timberwolves at American Airlines Arena. LeBron James amassed 22 points and 11 assists for Miami, which began the fourth quarter with a 17-6 run to break open a relatively close contest en route to its fourth win in five games. Andrei Kirilenko had 22 points to pace Minnesota and Nikola Pekovic racked up 18 points and 12 rebounds in the loss, the Timberwolves' second straight following a season-best four-game win streak. Kevin Love grabbed 18 boards for Minnesota, but went just 2-of-10 from the field while ending with 11 points. Joakim Noah recorded his second career triple- double as the Chicago Bulls rolled over the Boston Celtics, 100-89, at the United Center. Noah finished with 11 points, 13 rebounds and 10 assists, while Carlos Boozer and Luol Deng each netted 21 points and Nate Robinson connected on five 3-pointers en route to 18 points for the Bulls, who have won three of their last four. Rajon Rondo paced the Celtics with 26 points and eight assists as Boston dropped its third straight contest. Paul Pierce contributed 16 points, Courtney Lee had 14 and Kevin Garnett scored 10 in defeat. Brandon Jennings had 13 of his 34 points in the fourth quarter and the Milwaukee Bucks downed the Indiana Pacers, 98-93, on Tuesday. Jennings was 13-of-22 from the field for Milwaukee, which has won five of its last six games. Monta Ellis added 19 points and six assists in the victory. George Hill tallied 18 points to lead the Pacers, who had their three-game winning streak snapped. O.J. Mayo scored 26 points and handed out eight assists to lead the Dallas Mavericks over the Philadelphia 76ers, 107-100, at American Airlines Center. Both teams came in sporting three-game losing streaks, and the Mavs stopped theirs by shooting 54 percent from the field and 25-of-29 from the foul line. Chris Kaman added 20 points and seven rebounds, while Shawn Marion went for 14 and nine for Dallas, which saw point guard Derek Fisher leave early with a strained right knee. Dorell Wright shot 7- of-13 from behind the arc to pace the Sixers with 25 points, while Spencer Hawes and Evan Turner chipped in 18 and 17 points, respectively, in another setback. Danilo Gallinari tallied 28 points and nine rebounds in the Denver Nuggets' 112-106 win over the San Antonio Spurs. Kenneth Faried added 19 points and 11 boards, while Kosta Koufos pulled down 14 rebounds for the Nuggets, who have won three in a row and improved to 7-1 at the Pepsi Center this season. Tim Duncan recorded 31 points, 18 rebounds and six assists for San Antonio, which has dropped four of its last five contests. David Lee recorded 26 points, nine rebounds and four assists as the Golden State Warriors held off a late push by the New Orleans Hornets to take a 103-96 victory at Oracle Arena. Klay Thompson added 19 points and Jarrett Jack contributed a double-double with 16 points and 10 assists for the Warriors, who have won two straight and seven of their last eight overall. Ryan Anderson connected on four 3-pointers en route to a game-high 28 points for New Orleans, which dropped its eighth consecutive contest. Greivis Vasquez went 4-for-5 from beyond the arc and finished with 20 points, 11 assists and five rebounds in the loss. The Los Angeles Lakers welcomed back Pau Gasol on Tuesday, but still needed to erase an 18-point deficit to survive the Charlotte Bobcats, 101-100, at Staples Center. Kobe Bryant hit two big shots down the stretch and finished with 30 points, seven assists and six rebounds in the Lakers' third straight win. Los Angeles had been 3-5 without the services of Gasol, who returned from a knee injury and contributed 10 points, nine rebounds, five assists and four blocks in 29-plus minutes. Dwight Howard chipped in 16 points, 18 rebounds and four blocks, including a pivotal denial of a driving Kemba Walker in the final seconds. Walker logged 28 points, Ramon Sessions had 20 and Gerald Henderson 19 with nine rebounds for the Bobcats, losers of 12 straight. Glen Davis poured in a game-high 28 points to lead the Orlando Magic to a 102-93 win over the Minnesota Timberwolves on Monday. Davis scored 20 of those points in the second half and went 10-for-11 from the field over the final 24 minutes. J.J. Redick had 18 points and seven assists off the bench and Nikola Vucevic notched a double-double with 14 points and 11 boards for the Magic, who have won three straight games for the first time this season. Arron Afflalo added 13 points, five rebounds and three assists in the win. Kevin Love led six Timberwolves players in double figures with 23 points and also pulled down 15 rebounds. Nikola Pekovic had 19 points and 12 rebounds while Andrei Kirilenko added 13 points and six assists for Minnesota, which had a four-game winning streak snapped. Luke Ridnour had 11 points while J.J. Barea and Dante Cunningham each netted 10 in the setback. Blake Griffin scored 15 points to lead a balanced Los Angeles scoring attack, as the Clippers earned their 10th straight victory with an 88-76 triumph over the Detroit Pistons Monday at the Palace of Auburn Hills. Jamal Crawford also finished with 15 points, while Chris Paul added 14 along with seven assists for the Clippers, who are one win away from tying the franchise record for consecutive victories set by the Buffalo Braves from Nov. 3-23, 1974. Brandon Knight paced the Pistons with 16 points and five assists, while Tayshaun Prince donated 15 points and seven boards in the setback, Detroit's fifth in a row. Jeremy Lin couldn't have hoped for a better return to Madison Square Garden. The former Knick who took the world by storm last year logged one of his best games of the season for the Rockets, tallying 22 points and eight assists to help Houston to a 109-96 victory over New York that handed the Knicks their first home loss of the season. James Harden posted a double-double, scoring a team-high 28 points to go with 10 rebounds for the Rockets, who snapped a seven-game road losing streak in ending New York's 12-game unbeaten run at home dating back to last season. Of the Knicks' six losses this year, two have come to the Rockets in blowout fashion. Without Carmelo Anthony for the second consecutive game, New York was unable to keep up with the scoring pace of the Rockets, who outscored the Knicks 54-29 over the second and third quarters. Chris Copeland, who started in place of Anthony for the second straight game, notched a career-best 29 points -- all in the second half -- for the Knicks in the setback. the Big Apple once more. Mike Conley had 17 points and the Memphis Grizzlies stayed hot at home with an 80-71 victory over the Chicago Bulls on Monday. Rudy Gay and Wayne Ellington added 12 and 11 points, respectively, for the Grizzlies, who improved to 10-2 at home this season. Zach Randolph recorded a double-double with 10 points and 15 rebounds. Carlos Boozer ended with 16 points and 13 boards for the Bulls, who had a brief two-game winning streak snapped. Marco Belinelli donated 13 points. On this night, youth prevailed over experience. Behind a monster night from Serge Ibaka and a dominant third quarter, the Oklahoma City Thunder ran their winning streak to 11 consecutive games with a 107-93 victory over the San Antonio Spurs in a marquee matchup between the top two teams in the Western Conference. Ibaka racked up game- highs of 25 points and 17 rebounds, while Russell Westbrook tallied 22 points and nine assists to help the defending West champions record the franchise's longest unbeaten stretch since an 11-game run by the Seattle SuperSonics from Nov. 7-24, 1996. Kevin Martin contributed 20 points on 7- of-10 shooting off the bench and Kevin Durant finished with 19 points for Oklahoma City, which outscored the Spurs by a 29-16 count in the third quarter to break open a close contest. Tony Parker had 14 points and seven assists and Nando de Colo also notched 14 points for the suddenly struggling Spurs, now losers in three of their last four outings following an 18-4 beginning to the season. Shannon Brown scored 22 points and Jared Dudley added 20 as the Phoenix Suns downed the Sacramento Kings, 101-90, at US Airways Center. Marcin Gortat had 14 points and 13 rebounds and Luis Scola had 14 points, 10 assists and six rebounds for the Suns, who have won three straight for the first time all season. Jimmer Fredette poured in a career-high 22 points and Aaron Brooks dropped in 12 for the Kings, losers in five straight. David Lee led five Golden State players in double figures with 20 points and 11 rebounds as the Warriors thumped Atlanta, 115-93, Saturday at Philips Arena. Carl Landry netted 19 points and pulled down seven rebounds, while Harrison Barnes also dropped in 19 on 8-of-14 shooting for the Warriors, who finished a seven-game road trip at 6-1. Stephen Curry poured in 18 points with 11 assists and eight rebounds, while Jarrett Jack finished with 13 points and eight assists in the triumph. Al Horford netted a team-high 17 points and grabbed nine rebounds for the Hawks, who had a two-game winning streak stopped. Louis Williams added 16 points, while Ivan Johnson and Jeff Teague contributed 15 and 10, respectively, in the loss. Arron Afflalo had 20 points and six rebounds as Orlando took a 107-98 win over struggling Charlotte at Time Warner Cable Arena. Glen Davis had 20 points, Jameer Nelson gave 16 points and six assists while J.J. Redick added 14 points for the Magic, who have won three of four. Nikola Vucevic had 13 points and 13 rebounds in the win. Kemba Walker had a career-high 32 points along with seven assists for the Bobcats, who have dropped 11 straight contests. Gerald Henderson gave 16 points in defeat. David West scored 23 points and the Indiana Pacers took down the Detroit Pistons, 88-77, on Saturday. George Hill, fresh off his first career triple-double in Friday's win over Philadelphia, added 18 points and seven assists for the Pacers, who have won three in a row. Paul George donated 15 points, eight rebounds and eight assists for Indiana, which had lost three straight at Detroit. Tyler Hansbrough finished with 11 points and six boards. However, the news was not all good for the Pacers. Center Roy Hibbert left the game before the half with a bruised left thigh and did not return. Greg Monroe ended with 18 points and eight rebounds to pace the Pistons, who have lost four in a row. Rodney Stuckey and Brandon Knight had 15 and 14 points, respectively. LeBron James compiled 23 and 10 rebounds as the Miami Heat exacted a measure of revenge on the Washington Wizards with a 102-72 rout of their Southeast Division rival at American Airlines Arena. The Heat were dealt a shocking 105-101 defeat in Washington to a Wizards team that was 1-13 at the time back on Dec. 4, but ensured there would be no repeat outcome this time. Miami never had a lead under double digits after the second quarter and was ahead by as many as 35 points at one stage. Dwyane Wade and Udonis Haslem each netted 13 points to help the defending world champions bounce back from Wednesday's 97-95 home setback to Golden State as well. Bradley Beal and Cartier Martin were the lone bright spots in an otherwise awful offensive display for Washington, which shot a meager 37.5 percent from the field and committed 21 turnovers that the Heat converted into 30 points. Beal paced the Wizards with 19 points, with Martin recording 18 off the bench while making good on 4-of-6 attempts from 3-point range. Tyson Chandler tallied a double-double with 23 points and 10 rebounds and the New York Knicks escaped with a 103-102 victory over the Cleveland Cavaliers to remain unbeaten at home. Without Carmelo Anthony, who sat with an injured ankle, Raymond Felton scored a team-high 25 points. He also finished with seven assists for New York, which also received 16 points from J.R. Smith and 13 points from Steve Novak off the bench. The Cavaliers got a monstrous effort out of Kyrie Irving, who scored a game-high 41 points a day after fracturing his jaw against the Milwaukee Bucks. He led a furious late comeback, though Cleveland ultimately fell short after Anderson Varejao missed a potential game-tying free throw with a second left in the game. Marco Belinelli's driving layup in the closing seconds put the Bulls on top for good as Chicago outlasted the Brooklyn Nets, 83-82, at the United Center. Belinelli finished with a team-high 19 points, while Luol Deng followed with 17 and Joakim Noah contributed a double-double with 12 points and 10 rebounds for the Bulls, who have won two straight and five of their last six. Deron Williams dropped in a game-high 24 points for the Nets, but could not connect on a game-tying jumper following Belinelli's decisive basket. Brook Lopez added 18 points and 10 boards, and Joe Johnson poured in 16 points as Brooklyn had its two-game winning streak snapped. Nikola Pekovic scored a game-high 21 points and pulled down nine rebounds as the Minnesota Timberwolves outlasted the Dallas Mavericks, 114-106, in overtime on Saturday at Target Center. Alexey Shved netted 18 points with six assists, while Derrick Williams contributed 16 and six rebounds for the Timberwolves, who have won a season- high four straight. Luke Ridnour scored 15 points, while Andrei Kirilenko put home 14 and grabbed 10 boards and J.J. Barea finished with 14 points in the victory. Minnesota point guard Ricky Rubio made his season debut after suffering a torn anterior cruciate ligament and lateral collateral ligament in his left knee last March. Rubio donated eight points and handed out nine assists. O.J. Mayo and Derek Fisher scored 20 points apiece in the setback for Dallas, which has lost three straight games. Blake Griffin, DeAndre Jordan and Chris Paul each recorded double-doubles as the red-hot Los Angeles Clippers dominated the Milwaukee Bucks, 111-85. Griffin ended with 18 points and 11 rebounds for the Clippers, who have won nine in a row for the first time since Nov. 3-23, 1974, when the Buffalo Braves set a franchise record with 11 straight wins. Jordan had 15 points and 11 boards for Los Angeles (17-6), which is off to its best start in franchise history after 23 games as well. Paul tallied 10 points and 13 assists, while Matt Barnes added 21 points off the bench. Marquis Daniels ended with 16 points to pace the Bucks, who had a four-game winning streak snapped. Monta Ellis and Luc Richard Mbah a Moute added 13 and 11 points, respectively. Tony Parker compiled 22 points and eight assists as the San Antonio Spurs put an end to their first losing streak of the season by coming through with a 103-88 triumph over the Boston Celtics at the AT&T Center. The Spurs returned home having been handed back-to-back defeats to Utah and Portland on a 4-game road trip, but outscored the Celtics by a 51-39 margin in the second half to pull away and get back on track. Gary Neal helped San Antonio's cause by dropping in 20 points, with Tiago Splitter adding 16 points to the victory. The night wasn't all positive for the Spurs, however, as valued guard Manu Ginobili exited the contest in the first quarter with a bruised left quadriceps and did not return. Paul Pierce and Jason Terry each netted 18 points in the loss, Boston's second in a row following two straight wins. Zach Randolph registered a double-double with 25 points and 16 rebounds on Saturday, as the Memphis Grizzlies snapped a three-game skid with a 99-86 triumph over the Utah Jazz at EnergySolutions Arena. Marc Gasol donated 16 points and eight boards, while Rudy Gay added 14 points in the victory, Memphis' first in Utah since Jan. 24, 2007. Al Jefferson led the Jazz with 21 points and eight rebounds and Paul Millsap chipped in 12 points for Utah, which has lost two straight on the heels of a four-game winning streak.